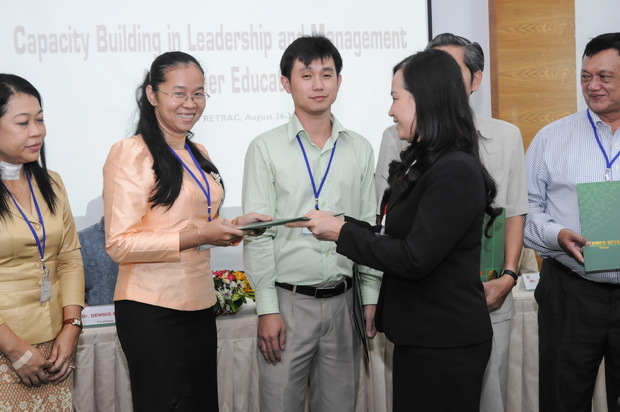 From August 26 to 29, 2013, SEAMEO RETRAC organized the training course in educational leadership and management for 34 educational leaders and administrators from colleges and universities in Lao PDR, Cambodia and Vietnam. 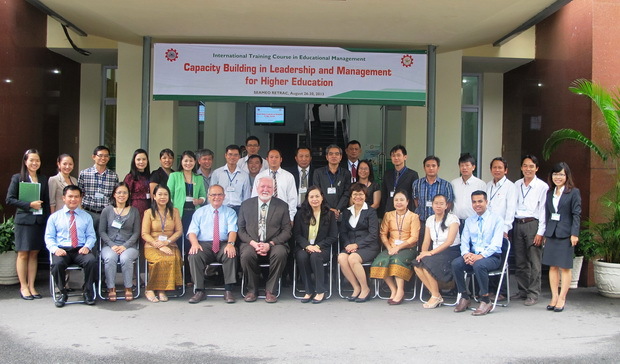 The purpose of the course was to enhance leaders and administrators’ educational leadership and management skills in higher education as well as to provide participants with practical knowledge and experience in educational leadership and management for these three countries. 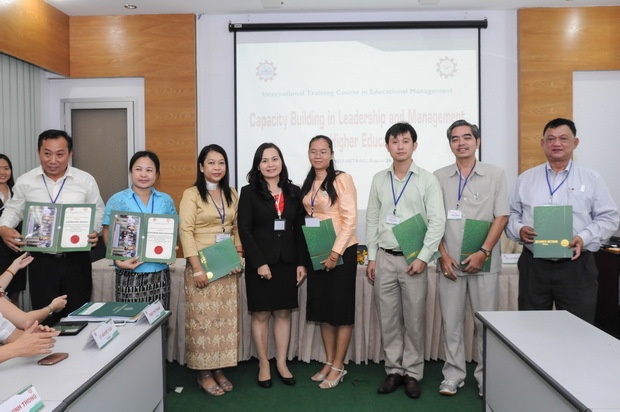 The topics included leadership styles and attributes to make a successful leader in higher education; curriculum development and assessment; exploring open resources for teaching and learning in higher education: unlocking top-notch resources for free and ICT application in the development of teaching and learning materials. 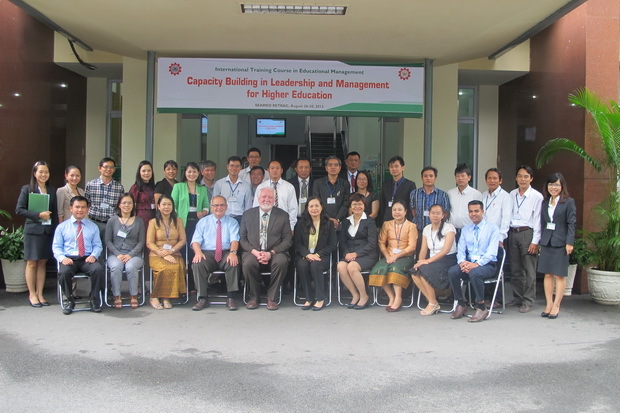 In addition, participants were also given opportunities for sharing experiences, perspectives and trends in educational leadership and management in the region and the world. 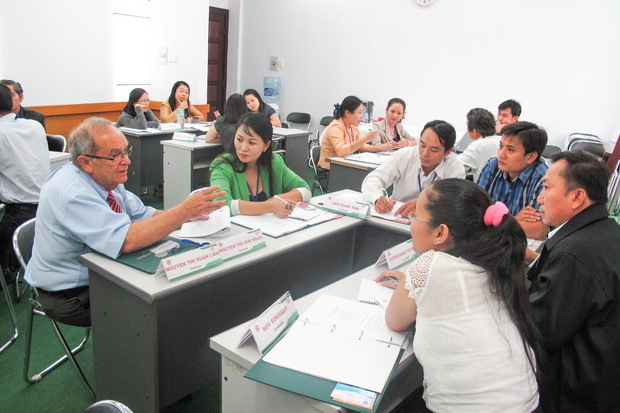 A wide range of activities such as: lecturing, discussing, group working and presenting was employed to make the workshop more interesting, informative and fruitful. 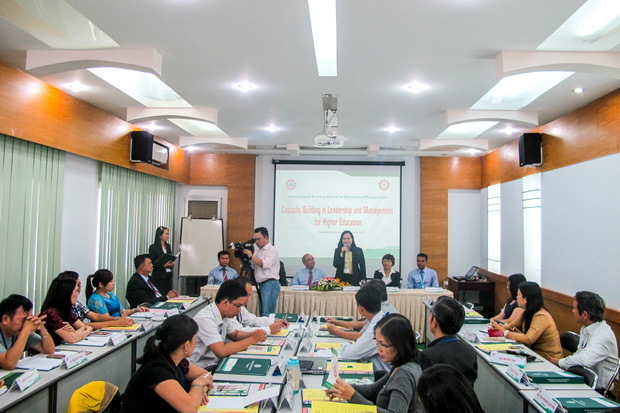 During the 4 days of training, participants also paid a visit to Ton Duc Thang University to learn more about academic activities.